Abhimanyu M., a member of the Students' Federation of India, was stabbed to death at Maharaja's College, Kochi. Kochi (Kerala): Abhimanyu M. was the first student from his village in Vattavada to leave the district to study. He was 20 years old, and from a family of plantation workers-turned-agricultural labourers from the Tamil-speaking linguistic minority. As an undergraduate student of chemistry, Abhimanyu lived in the boys’ hostel at Maharaja’s College, Kochi. Around midnight on Sunday, Abhimanyu was stabbed to death on campus by assailants allegedly affiliated to the Popular Front of India (PFI). His mother Poovathi’s wail of ‘Naan petra makane, en kiliye… (The son I gave birth to, my little bird)’ echoed the next day while his body was laid on a temporary platform made of study tables by his peers at Maharaja’s College. According to the police, an altercation had taken place earlier that night between members of the Students’ Federation of India, the student wing of Communist Party of India (Marxist), and the Campus Front of India (CFI), a students’ organisation affiliated to the PFI, over some graffiti welcoming new students to the college. Abhimanyu had gone with some of his comrades to the spot to enquire about the incident, and was confronted by armed assailants who stabbed him to death. Surgeons who conducted the autopsy on his body have said that he is unlikely to have survived more than 40 seconds after the fatal stabbing. Another student with him, Arjun, a second year undergraduate student of philosophy, was also critically injured. What makes this gruesome murder different from other campus violence is the nature of the wound and the precision of the stab, one of the police officers privy to the details of the investigation told The Wire. According to the officer, a group of 15-20 activists from Social Democratic Party of India (political wing of the PFI), PFI and CFI carried out the attack, and many of them were not students of the college. The immediate reaction from SDPI’s state leadership was an attempt to justify the crime. “The attack on Abhimanyu was not at all a one-sided attack. There is evidence that around 100 SFI activists clashed with around 15 Campus Front members, and one of them used a knife which resulted in the death of Abhimanyu,” said Abdul Majeed Faisi, the party’s state unit president. He also said his organisation had nothing to do with the CFI, though he clarified that CFI members could be SDPI members as well. Later, the CFI came out with a statement which many observers have called overtly aggressive. It squarely blames the SFI for the violence, not only in Maharaja’s College but also for several other incidents in campuses across the state. “There might be many creative minds on campus who would kneel down before the SFI, but the majority of students with self-respect would not. The CFI has it (self-respect) in our DNA,” said A.S. Muzzammil, state general secretary of the organisation. Muzzammil was targeting the KSU, the Kerala chapter of the Congress-affiliated National Students’ Union of India, which publicly supported the SFI on Abhimanyu’s death. So while senior Congress leaders including former chief minister and former Union defence minister A.K. Antony blamed the SFI’s high-handedness for continuing violence in campuses across the state, the local unit of their students’ organisation had a different take. “Not a single incident of violence was reported from this campus for the last 18 months or so. Student activists like Abhimanyu who was down to earth and friendly in nature have a huge role in this. He with friends has participated in a shoot-out competition organised by the KSU unit. The entire college will be united in resisting the communal forces sneaking into the campus with daggers,” said the KSU statement. It has been argued that Left student political groups in Kerala, dominated by the SFI, have become increasingly intolerant of ideas with which they disagree, even if they come from politically similar organisations. There are many campuses in the state where SFI is the dominant force and no other organisation is allowed to function. In the last decade or so, campus politics in Kerala has been going through a changes with the entry of new players like the CFI, Fraternity Movement (a campus initiative floated by the SIO, student’s wing of the Jamaat-e-Islami) and Ambedkarite unions like the Ambedkar Students’ Association. The older and once prominent narrative of SFI versus KSU has been fading out in many campuses. All university unions and a majority of colleges are dominated by the SFI. The Muslim Students Federation, student’s wing of the Indian Union Muslim League, is still holding fort in Malappuram and Kozhikode. The ABVP also has a foothold in some of these pockets. The idea of identity politics has come to the forefront of late, on which the SFI always finds itself in the opposition. With Hindutva hegemony dominating the political super structures, the campus discourse around Muslim and Dalit identities put Left organisations in serious dilemma, especially after Rohith Vemula’s suicide at Hyderabad Central University. Their ideology, based on class, proves to be a major obstacle when dealing with new subaltern movements focusing on identity. On the other hand, with the ABVP almost a no-show in many campuses, identity-based students’ organisations have been finding their foe in the Left. There are even grand alliances of all other groups against the SFI in some colleges. “There is the increasingly clear conclusion that fundamentalism of any hue is a great danger. Yet, there continue to be some who treat the SDPI/PFI/CFI as allies in the fight against Hindu majoritarianism. With liberal intellectual assistance, these criminal organisations have, at times, created a false illusion that they stand to the left of the Left. They swear by the virtues of identity politics, and declare that they are the torch-bearers of Muslim-backward class unity. Alas, an Adivasi Marxist student had to be stabbed in the heart to clear the way for that ‘holy’ goal,” says R. Ramakumar, professor of developmental studies at the Tata Institute of Social Sciences and a member of the planning board of Kerala. According to the SFI and CPI(M) leadership, in the last 45 years, 37 students have been killed in various campuses in Kerala, of which 34 were members of the SFI. All of them were killed by either the KSU, the ABVP/RSS or the National Development Front. “NDF and Campus Front have a history of spreading communal venom in society and campuses. Both RSS and NDF (Popular Front) are the two sides of a same coin. SFI activists had been attacked and killed by the same force in Kerala earlier also. The gruesome plannings to turn campuses into killing zones must be resisted,” said a statement issued by the central committee of the SFI. Despite their tall claims of being crusaders for democracy and freedom in campuses, the murder of Abhimanyu has virtually isolated the CFI and the PFI/SDPI. Even the Fraternity Movement and the SIO, usually detractors of the SFI, have spoken out against the brutal act. A social media post praising Abhimanyu by a Fraternity Movement leader, Fawad, has gone viral on the social media. “It evident that the CFI did this brutal act and by doing that they have contributed immensely to the already prevailing Islamophobic mindset of society,” observes Sreeja Neyyattinkara of the Welfare Party of India. 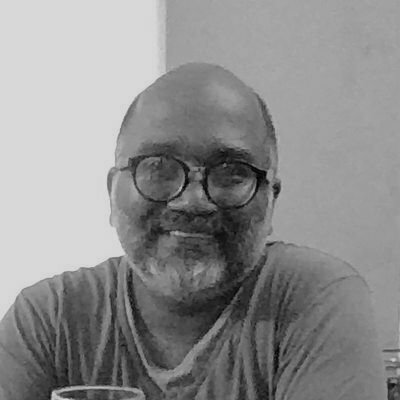 Rajeev Ramachandran is an independent journalist based in Kochi.